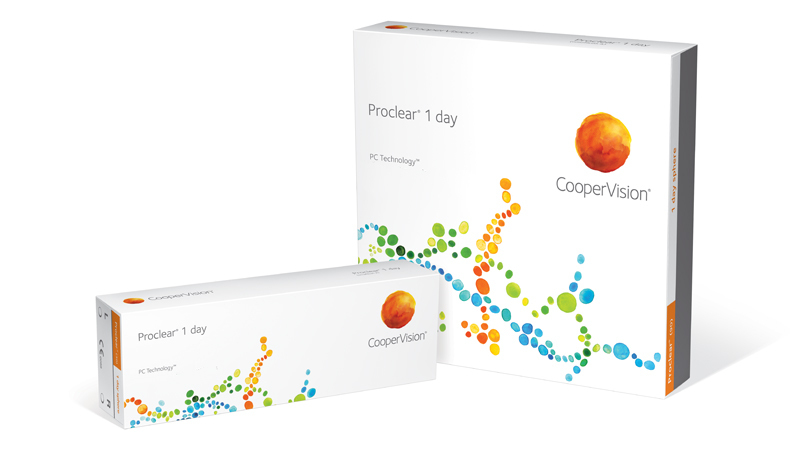 CooperVision® Proclear® 1 day contact lenses make end-of-day discomfort a thing of the past. That’s because these daily disposable lenses were designed to offer your patients exceptional levels of both overall comfort and comfort at the end of the day. The aspheric optical design in Proclear 1 day corrects lens and theoretical corneal aberrations for crisp, clear vision. Proclear 1 day lenses also maintain oxygen flow to help keep the patient’s eyes clear and white. And they stay 96% hydrated throughout the day, even after 12 hours of wear.